OctaFX has built a solid reputation in the forex/CFD trading space. Whilst the range of instruments available to trade is somewhat limited in comparison to other brokers, there are quite a few innovative features that help them stand out from the crowd in other ways. Robo and copy trading in particular are both areas where they appear to be aiming to gain an advantage over the rest of the market. Founded in 2011 and taking advantage of being something of a second generation broker, OctaFX provides a user-friendly and distinctive approach to trading the financial markets. Incorporated in St. Vincent and the Grenadines but operating primarily out of Jakarta it has developed a strong client base in the Asia-Pacific region. OctaFX does, however cover the global markets, serves customers in over 100 countries and also has offices in Spain, Cyprus and Malaysia. A good fit for beginners and seasoned traders alike it has a reputation for being easy to use and reliable. Building off that secure base and providing a range of ‘nice-to-have’ services has led to them picking up a range of awards including: Best Forex Broker Asia 2018 (Global Banking and Finance) and ‘Best Trading Conditions’ and ‘Best STP Broker’ (both, FX Report Awards, 2016). The fees and commissions are structured differently according to account type. Micro, Pro and ECN accounts use the MT4, MT5 and ECN software platforms, respectively, and support different trading approaches, hence the variation in charges. Spreads are widest on the MT4 Micro account and there are also fewer instruments to trade through this account. Typically, the spread on a EUR/USD trade might be 1.1 pips, but if the same trade is made through the MT5 Pro account, this might drop to 0.9 pips. When considering both price structure and range of instruments to trade, the MT5 Pro account is generally the best of the three options. The cTrader account is not far off but is limited to 28 forex pairs and 2 metals markets but offers a differential by being a commission-based account. 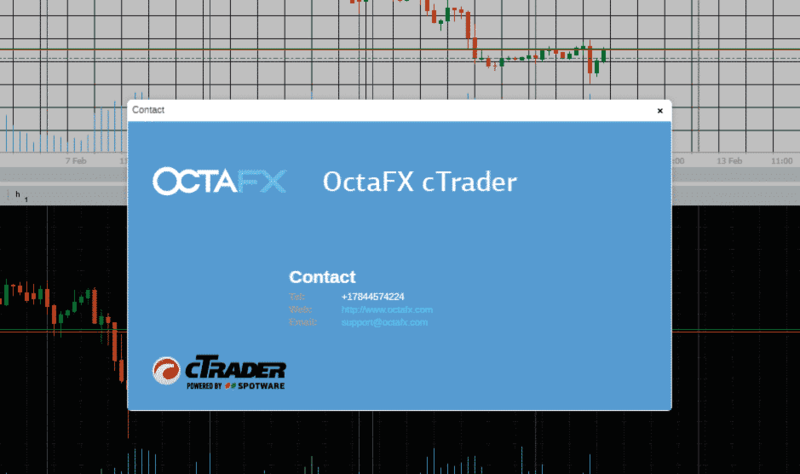 Trading on OctaFX is conducted through a choice of three trading platforms: MetaTrader 4, MetaTrader 5, and the cTrader platform. 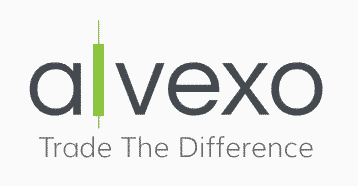 The latter is the broker’s proprietary platform and provision of the two MetaTrader platforms justifies OctaFX’s reputation as a serious operator. The markets available to trade vary depending on platform choice, with MT5 offering the widest range of tradeable instruments, which is: 28 currency pairs, 3 cryptocurrencies, 10 indices, 4 metals, and 2 energy markets. 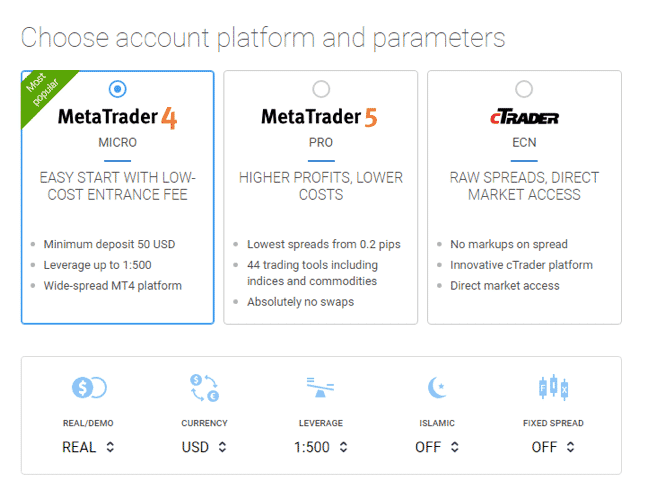 MetaTrader4 provides a minimalist yet sophisticated service which caters for beginner to advanced traders and also allows user profiles to be set up to carry out Islamic Trading. MetaTrader5 offers some extra tools for those traders looking to carry out analysis on a more granular scale. The third option, the in-house platform, cTrader, caters to all traders, particularly if they are looking for flexibility and convenience and is a platform that can be easily customised to suit individual needs. 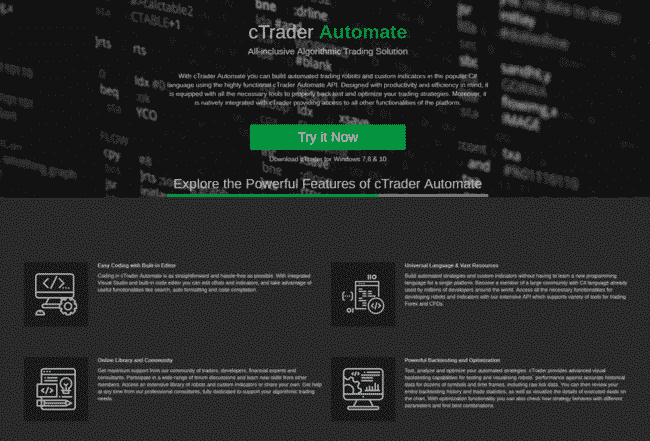 The cTrader site has a nice aesthetic and intuitive functionality. The range of pop-ups and notifications about system upgrades or services ‘coming soon’ create an atmosphere of a site that is either going places or one that is not quite finished. It may be the former of those two options as what is in place already is fairly impressive; as demonstrated by the base language of the platform being able to be set in one of twenty-three different languages. Customer service is available 24 hours a day Monday through Friday. The languages supported by the customer support staff are English, Indonesian, Spanish, and Polish, and users can access it through the live chat, email, phone, or an enquiry form. The support desk has a reputation for being quick to respond, knowledgeable and sufficiently in tune with the nature of trading to be able to answer questions at the first attempt. Whilst not leading the market in this area OctaFX do put in a solid performance but the lack of 24/7 support might be significant to some traders. Account profile settings can be easily updated and adjusted. 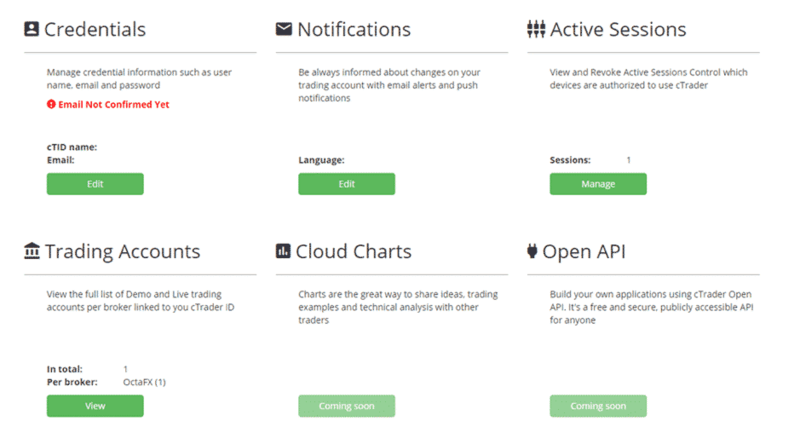 As well as standard functions such as those which allow traders to decide how and when they receive notifications; there are also more advanced tools which aim to simplify the trading experience. There are only a limited ways to make deposits or withdrawals into trading accounts. OctaFX currently only accepting transfers in the form of: Bitcoin, Neteller, and Skrill. One major positive feature of using these is that any funds deposited using these methods are available to use immediately. 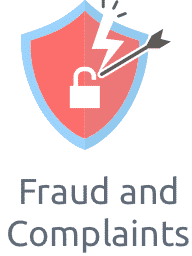 On the other hand users may be less attracted to the charges associated with withdrawing funds, with Skrill and Neteller withdrawals costing $5 dollars, and those with Bitcoin setting you back $25. The choice of payment type also affects what base currency your account will adopt. Regardless of how reliable and efficient the three means of payment are, the decision to limit transfers to only these types puts OctaFX at a disadvantage, particularly when compared to other platforms. OctaFX operates as an STP and ECN broker. These benefits traders by providing them with access to fast execution, tight spreads, zero slippage, and no annoying re-quotes. Those using cTrader to trade forex pairs will be able to trade interbank rates and spreads in some markets are as tight at 0.2 pips; whilst leverage of up to 500:1 is offered. OctaFX has built a reputation for providing reliable and robust trade execution and industry standard add-ons such as Quick Trade functionality are available. One negative feature was that we found in CTrader we weren’t able to open up and use more than one pop-up box at a time which meant that we weren’t able to carry out some background tasks whilst waiting for market price to move towards our trade entry price. Traders used to being able to multi-task and to execute in the ‘Orders’ pop-up box whilst also inputting some data into something like the ‘Price Alerts’ pop up box may be frustrated at being unable to do these two things at once. In the same way, leaving a pop-up open can result in not being able to navigate around the site as you would like to until realising your ‘error’ and closing down the appropriate box. One area where OctaFX stand out is their approach to trader feedback. There is even a forum where traders interested in getting the most out of trading with OctaFX can benefit from airing their views or taking the opinions of others. The range of instruments on offer is relatively limited. There are a maximum of 28 currency pairs, 3 cryptocurrencies, 10 indices, 4 metals, and 2 energy markets. This sounds like enough to be getting on with, and might satisfy a section of the trading community but some traders will have issues with a product range that doesn’t include: stocks, bonds and ETFs. To show their commitment to mobile trading, OctaFX offers users a bonus on all first-time deposits made through the trading app. 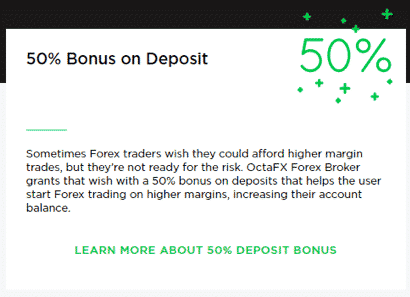 This includes a 50% bonus on the user’s margin, which allows you to take on larger positions but as with any broker it is always advisable to thoroughly read the small print before committing. Inexperienced traders in particular should be incredibly careful when trading on high margins and pay particular attention to the total maximum possible losses that could result if a high margin trade turns against you. The minimum deposit that qualifies for this promotional offer is $50. OctaFX regularly runs a range of different trading contests through the site with competitive cash prizes. These are a great opportunity to test out new trading strategies in a competitive environment. These weekly and monthly competitions are run through demo accounts which make them a low-risk way of refining your skills. Generally, the weekly competitions will have a prize fund of $400, whilst the monthly competitions put $1000 up for grabs. Special competitions are also run on a more ad-hoc basis for the most successful and active traders on the site. A wide variety of educational content is available for OctaFX users under the ‘Traders’ Tools’ sections. This includes an economic calendar, daily analysis posts, as well as trading signals and market insights. Video content is also provided via YouTube, with much of this content archived. This provides a great digital library of webinars that users can take advantage of. Access to these resources is provided to both Demo and Live account holders. The ‘Forex Basics’ section is particularly good for newer users and provides a breakdown of basic and more advanced trading strategies. It is clear that the education section is of great importance to OctaFX, and the material is of a high quality and conveniently available in a wide range of formats. On-boarding is particularly straight forward with users guided through a series of questions towards the account type considered the best fit for them. Each of the three accounts matches up to one of the three trading platforms so users may have to compromise on T&C’s if they want to trade a particular platform. If this is an issue then the Demo account could be a good way to test what is on offer as it has sufficient privileges to allow comprehensive testing of features including copy trading. In addition there is a range of literature and videos aimed at supporting traders as they get used to the site. Providing material that explains the actual mechanics of a platform is a nice addition and one that is too often overlooked. Mobile trading is one of OctaFX’s strong suits; all the apps are available for Android and Apple devices and through each provider’s app store. 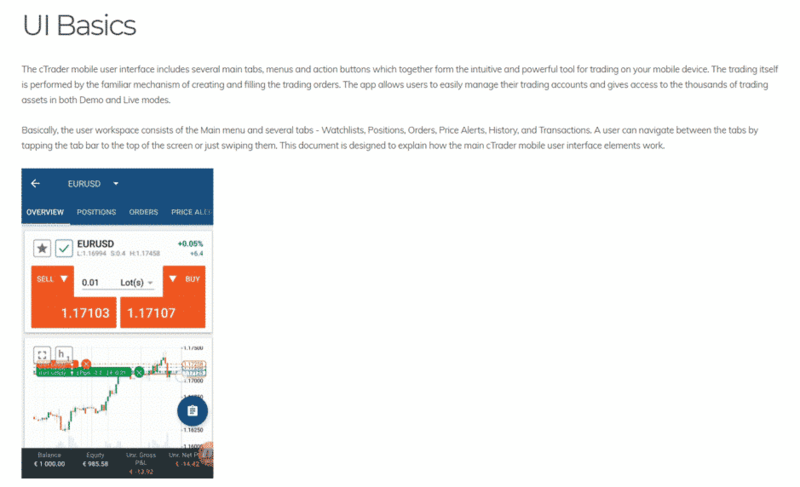 The MetaTrader app offers a smooth transition from desktop to mobile trading and is a widely used tool that will already be very familiar to a lot of traders. 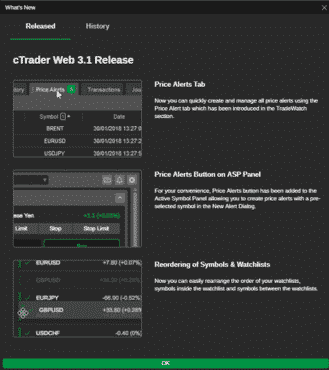 The proprietary cTrader app is easy to use, robust and well set out to assist mobile trade execution. Whilst it does allow users to keep on top of administrative tasks such as withdrawing and depositing funds it has the feeling of something that in essence was designed to help traders trade. As with the desktop platform, the default watch list offers only a limited range of markets and focuses on currency pairs. 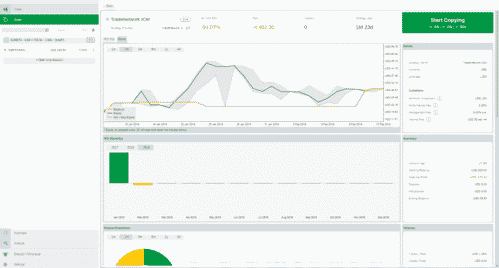 Nor are there very many analytical tools to use on the mobile app. Maybe it’s because these areas have been scaled down that the cTrader mobile experience has such a clean and crisp feel. 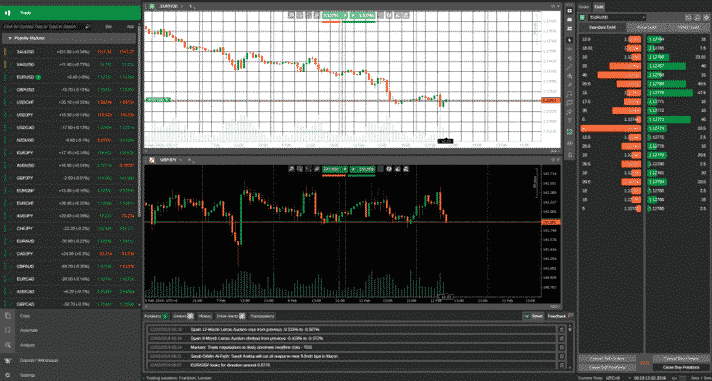 It’s easy to get into a position to execute trades: one click trading is available as are fully functioning order screens which allow for trade instructions to be set up with trailing stop losses and take profit targets built in. 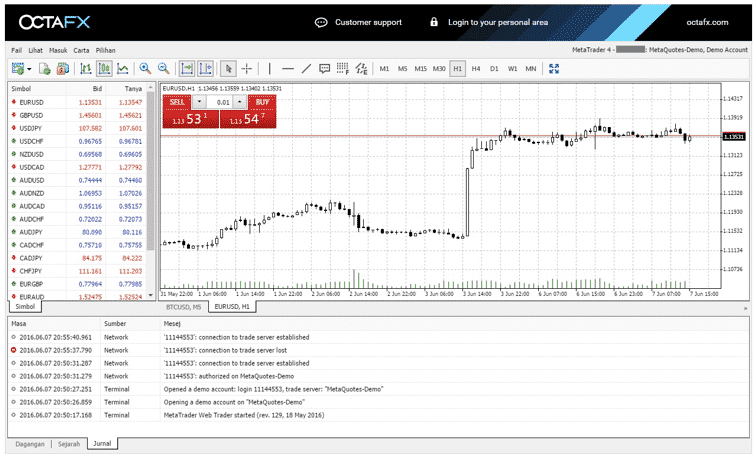 Customer support for mobile trading is of a high level and can also be accessed 24/5 via a live chat function. OctaFX offers one of the better copy trading facilities out there meaning users can set their account to automatically copy the moves of leading traders on the platform. This is a great way for new users to better understand the markets as well as to learn some new strategies and at OctaFX copy trading is available in the Demo account environment. 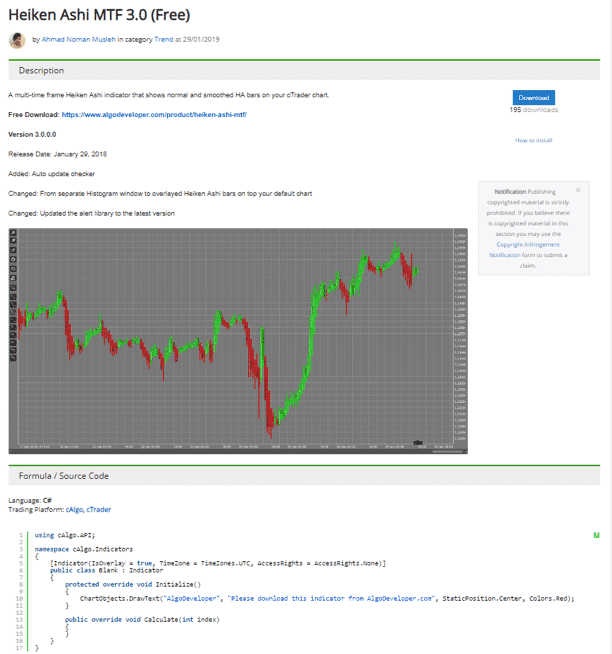 Trading signals can be easily hooked up to the cTrader platform. There are tutorials on running a cBot and free algorithms to incorporate into trading strategies. 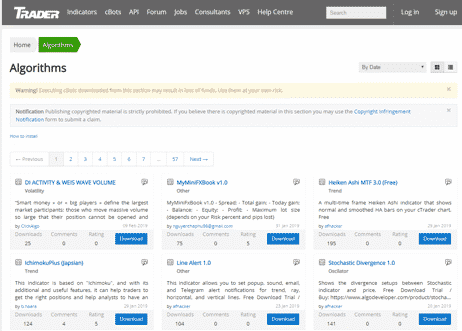 Advice and support is plentiful and runs through to a section dedicated to the provision of VPS (Virtual Private Servers) for Algo. 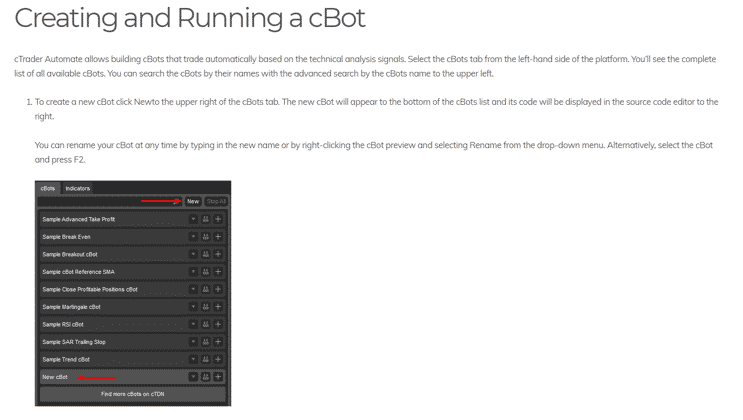 The cTrader Automate service appears to be developing into some kind of a hub for the various Robo trading services. This would be a major gain because at the moment all the tools are there, but just come across as a little disjointed. OctaFX is incorporated in, and falls under the jurisdiction of the regulatory body of the islands of St. Vincent and the Grenadines. The firm reports it is in the process of applying for a CySsec regulatory approval but that is still pending which means, in this section, OctaFX scores lower than some of the other brokers in its peer group. Network security is evidently of great importance to OctaFX, and their networks are secured with state of the art 128-bit SSL security protection which ensures all trading and personal data is encrypted. OctaFX have to some extent followed the standard road map for a broker aiming to break into the market. The trading platforms on desktop and mobile, offer a robust and reliable means to access the market and the bid-offer spreads available are some of the best around. Getting these basics right shouldn’t be underrated. Trading through the site is a positive experience. The services on offer in relation to: research and learning, robo trading and copy trading are all of a high quality. 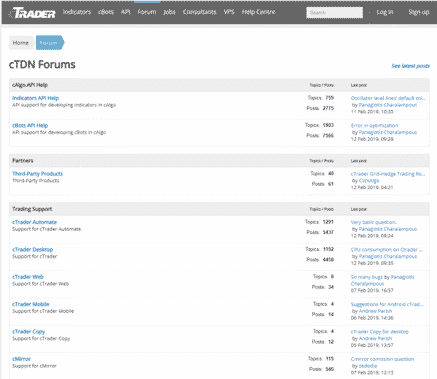 Using the cTrader platform is generally a very positive experience. 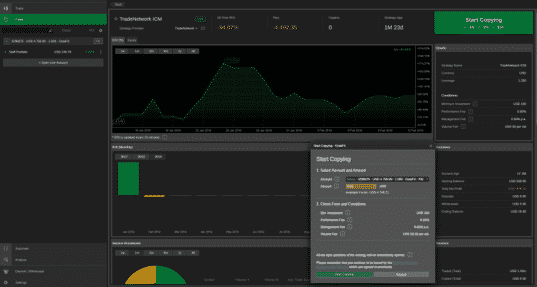 It could be fine-tuned to address the issues we raised regarding pop-up boxes and the disjointed feel of the robo trading section reflects a platform that is offering traders what they want but making it hard for them to get things in line. The drawback of greatest significance is probably the relatively weak regulatory situation. If OctaFX wants to seriously compete with the top players in the forex game, a more comprehensive regulatory and compliance regime would serve them well. Overall, OctaFX score a solid 3/5 which reflects well on a firm that is fairly new to the market. Where OctaFX go from here will be interesting. Strengthening the regulatory status and being more flexible on payment terms are two easily identifiable improvements that the firm could make. Upgrading in these areas would surely encourage a wider range of traders to try out the many positive features of this broker. 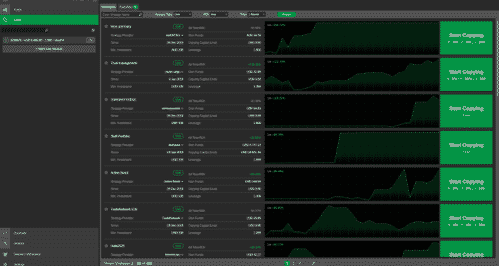 OctaFX are already making available a range of neat and unique features which improve the trading experience. Providing even more of these innovative tools will help them stand out from the crowd and continue to make them a broker that is definitely worth considering. Forex margin trading involves substantial risks. Forex margin trading exposes participants to risks including, but not limited to, changes in political conditions, economic factors, acts of nature and other factors, all of which may substantially affect the price or availability of one or more foreign currencies.